In this special hypnosis brief I want to tackle the major differences between Group and Individual Hypnosis Sessions and what you can expect as a client so you can choose what might work best for you. Be aware many hypnotherapists only offer individual sessions. So, depending on who you choose you may not even have an option. However, most professional hypnotists offer group sessions so they can reach a wider audience and thereby help more people. The choice then of offering group or individual only, or offering both types of sessions, is down to the individual hypnotist, and the way they prefer to deliver their services to be most effective for them and their clients. So, let’s dig into each format and discuss the pros and cons for you. Most people’s introduction to group hypnosis is watching a stage hypnotist performance for entertainment. This where a hypnotist is calling members of the audience onto a stage and hypnotizing them as a group, or one by one to be a part of a collective group. If you witnessed this, you were probably amazed, if not astonished, how it appeared one individual had so much power over a group of individuals and was able to make them do whatever was asked of them. Most likely part of you thought it ‘wasn’t real’, or the group was simply ‘playing along’ with the hypnotist. Without spoiling the fun of the entertainment if you enjoyed this, the truth is, you’re probably right… it wasn’t real. If you want to know more about what’s going on here then you can read Terrence Watts’ article “Stage Hypnosis – How and Why it Works”. The fact is, what you saw happening in stage hypnosis show isn’t anything like a group therapeutic hypnosis experience. So, I would caution you about making a choice just based on what you saw in a stage show. The number one reason people choose group hypnosis is its cost effective. 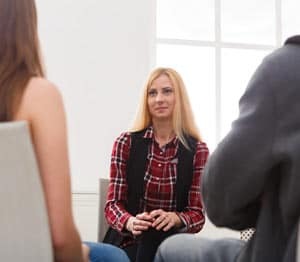 Group hypnosis sessions tend to be less expensive than individual sessions, and for those on budget this can be their primary factor, particularly if you’re looking at tackling a change requiring multiple hypnosis sessions. Another reason people choose group hypnosis is wanting to be part of a group working towards a common goal. Some people enjoy the comradeship of having others to feed off in a group setting. In addition, the group environment can create some competition, especially if the topic is weight loss and help push people along. The fact is, we also learn from others and their experiences and can even help them. We are after all social animals so wanting to achieve an outcome as part of a group helps many to stay engaged and see it through. On the other hand, some of us are more private and so tackling a problem or challenge with a group of strangers may just not fit your profile, and would make you feel intimidated, particularly if the group has some personalities and dynamics in the membership which impact inclusion in the group. By attending a group hypnosis session, it enables those who are hesitant about trying hypnosis, a great sense of comfort. By attending group sessions, especially with friends, it can create a sense of comradery, and ease any stigmas and apprehensions associated with misperceptions about hypnosis. Groups can also be more difficult for the hypnotist to manage and get effective outcomes for all. This is a primary reason why some hypnotists don’t offer group sessions. But its more around the personality and beliefs of the hypnotist than hypnosis skills. 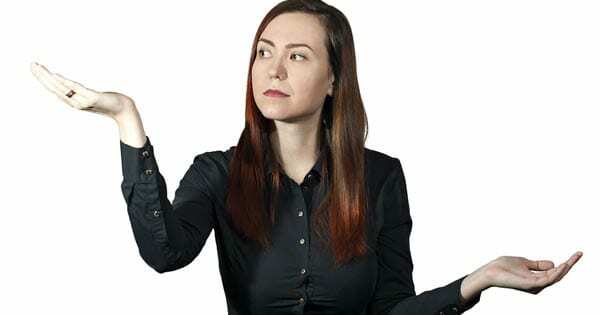 Hypnotists, after all, are folks just like their clients and come to the table with their own styles and preferences which dictate the format of supporting their clients which works best for them. A major drawback of groups is the necessary generic nature of the sessions, one-size fits all is confining and makes tackling individual challenges for each participant unrealistic and one of the reasons why I keep my groups small – max. 10 people. Small groups do allow some individual coaching work to happen especially if a number of people are experiencing similar challenges. Although you don’t get the one on one attention you would in an individual session, you’re still getting the ‘hypnosis’ experience, as well as suggestions and cues offered by the hypnotherapist. If you’re able to focus and not be distracted or intimidated by others in the group then a group program can work for you. Another constraint about group sessions is they come with fixed dates and times set in advance and usually no make-up sessions if you miss one or two in the program for any reason. So, there’s little to no flexibility on session availability. Finally, you’ll usually be expected to pay the full cost of the program up-front with no refunds for missed sessions. This is understandable as you’re getting a steep discount anyway because of the group nature of the program. Bottom-line for group hypnosis then is commit to the program and show up! The primary benefit of individual hypnosis sessions is a one-on-one session is more personable, private, and you get the hypnotist’s full attention to address individual challenges, while at the same time you can focus and concentrate on giving the hypnotist your full, undivided attention. Some people find going into hypnosis in an individual session is easier than in a group session. In theory this shouldn’t be a factor as when your eyes are closed you’re hearing the same voice and instructions as in an individual session. However, if you’ve been exposed to both then again it comes down to your preference. Unlike groups, individual sessions can be scheduled to suit you and the hypnotist, and if something urgent crops up then it can be rescheduled without any loss of sessions. This also allows you to dictate the pace of a program as well. For single individual session programs, such as stop smoking, then a follow-up can be scheduled if needed as part of the program and included in the cost. This generally isn’t offered in groups in order to keep costs down. Because of the individual attention you receive, and the ability for the hypnotist to address your specific challenges to help you achieve the outcome you want, then, individual hypnosis programs are more expensive than groups. Most hypnotists price their sessions by a fixed hourly rate, although for programs requiring multiple sessions generally you’ll find you can get a discount if you commit to a minimum number of sessions – like a block discount. Personally, I feel individual hypnosis sessions always win out over group sessions for overall fast outcomes. I can make more progress in one individual session than in an equivalent group session. I mentioned earlier about online group hypnosis sessions. But these can be both individual and group. They provide a number of benefits, reducing travel time, in the comfort of your own home, etc. In a group program they also provide some of the private elements you obtain in individual sessions. Again, it comes down to preference for the client. Some people want to avoid the distractions of the home for their hypnosis sessions and I understand this and so offer both online and in-office sessions for group and individual hypnosis programs. What is really interesting these days is more folks are actually opting to have ‘home’ hypnosis parties. I’m sure you’ve heard of lingerie parties, Avon parties, psychic parties, etc. Hypnosis parties are becoming the new fad in many homes and individuals are getting to experience it first hand in a group environment which makes it less threatening and fun to try. Although hypnosis tends to be more common among women overall, especially in these party-type atmospheres, it’s becoming more common among men. Did you know more men are actually considering hypnosis not only for quitting smoking and weight loss, but things like improving their golf game! I hope you found this hypnosis brief helpful in deciding the pros and cons of Group, and Individual hypnosis sessions. Leave a comment below if you did and let me know how I could improve it for you. 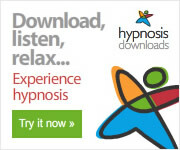 You can find more information about my own hypnosis individual and group services here >>> and yes, I do offer online sessions for both types as well.